Not far from the Sanctuary of Loyola, near St. Ignatius’ family home, pilgrims can visit the Magdalene Chapel. 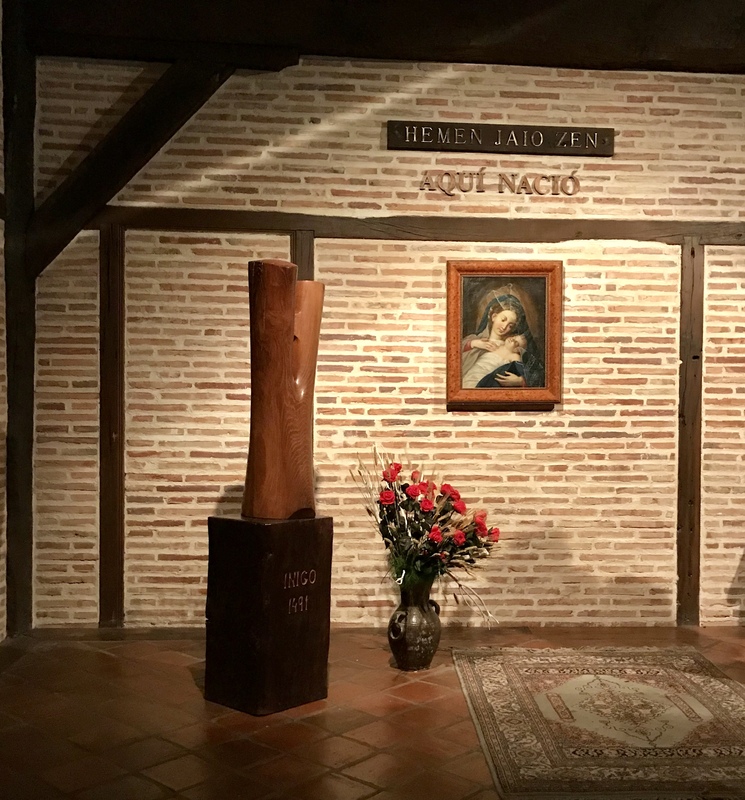 When Ignatius returned to his homeland having fallen ill in Paris in April 1535, he stayed in Azpeitia, a neighboring village, living with the sick and the indigent at the Magdalene hospital and praying at the nearby chapel. 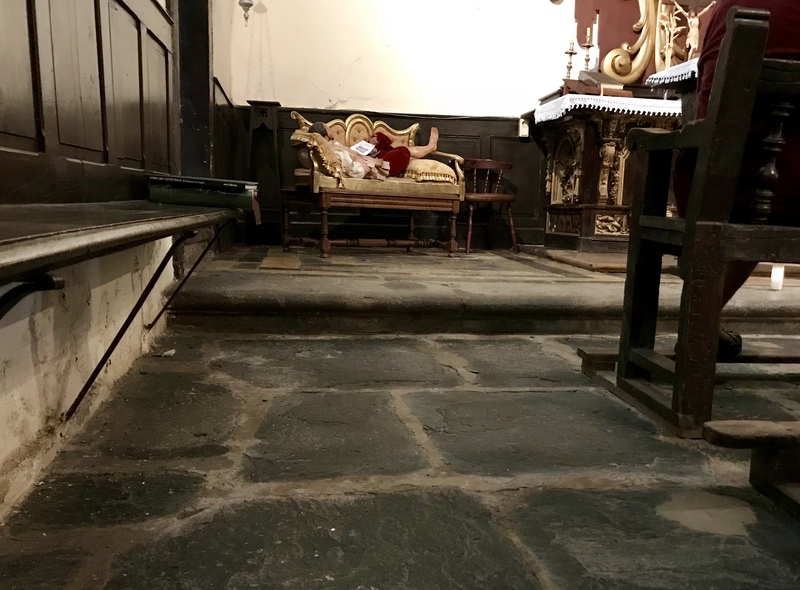 Upon entering the chapel you learn only the stone floor is from Ignatius’s era; the rest has been restored. 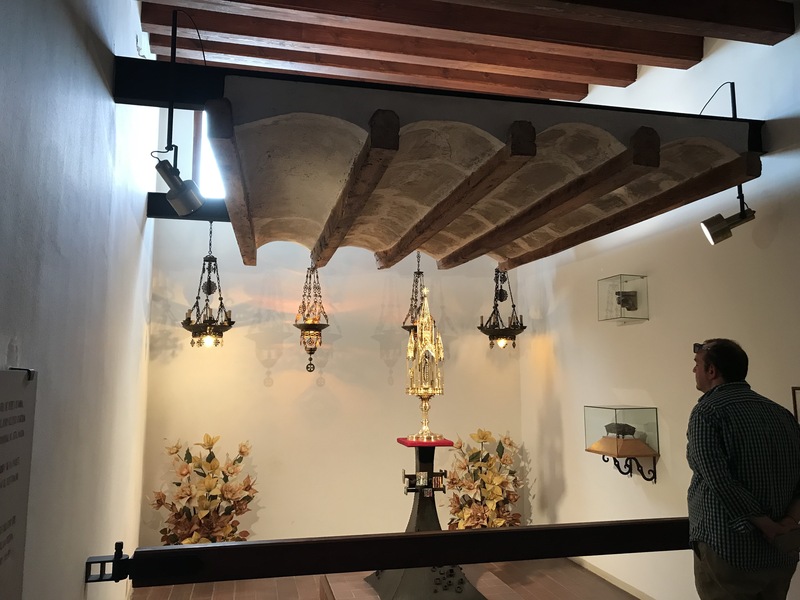 Similar restorations have been done to his family home, and to the Magdalene hospital where he slept on the floor during his three-month stay in Azpeitia. They are not just as they were, but are still sacred spaces. I approached this Ignatian pilgrimage with few spiritual expectations: I didn’t know how or if I would be moved. In quiet moments my heart has been returning to the things that can’t be fixed: loved ones lost to tragedy, years lost to illness, the limits of our bodies, the limits of time. My heart dwells on irreparable loss, and I cry over the things that can’t be as they were. 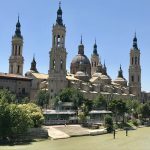 We stopped in Zaragoza to venerate Our Lady of Pilar. 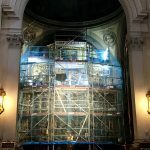 I approached the altar of the Blessed Sacrament to pray and saw it was covered in scaffolding. Workers were up amid the gleaming structures. 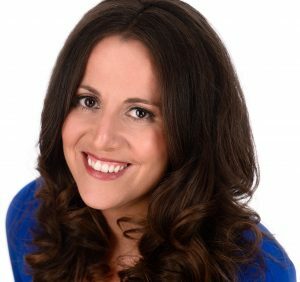 It struck me as a beautiful act of faith, putting care and effort into what can be fixed. Things remain sacred, even when they change. There is much in the world that can be restored. In the tiny town of Verdu we visited the Peter Claver’s birthplace. A relic of his rib sits in monstrance below a portion of the roof that sheltered him in the 16thcentury. All around the rest of the chapel is entirely modern. It is not just as it was, but it is still a sacred space. What we rebuild around what remains is just as holy as what was lost.